Updated The current Android version is Android Pie, and it's out in the world – now it's just a question of which phones have upgraded yet. Samsung Galaxy Fold problems have arisen just two days after the phone made it into the hands of reviewers. Ouch. Updated We don't know officially what's coming with Android Q, but we do have an idea of what's coming in Google's next OS update thanks to leaks and rumors. Updated Here's what we know about OnePlus' next flagship, the OnePlus 7, and all the rumors we've heard. 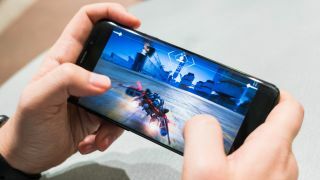 The OnePlus 7 Pro is rumored to have a sharp screen, a high refresh rate, a big battery and more. The very best games for your iPhone, from the iPhone XS to the iPhone SE.